#Maternal-fetal medicine specialists attend to patients who fall within certain levels of maternal care. These levels correspond to health risks for the #baby, #mother, or both, during #pregnancy. They take care of pregnant women who have chronic conditions (e.g. heart or kidney disease, hypertension, diabetes, and thrombophilia), pregnant women who are at risk for pregnancy-related complications (e.g. preterm labor, pre-eclampsia, and twin or triplet pregnancies), and pregnant women with fetuses at risk. #Fetuses may be at risk due to chromosomal or congenital abnormalities, #maternal disease, infections, #genetic diseases, and growth restriction. 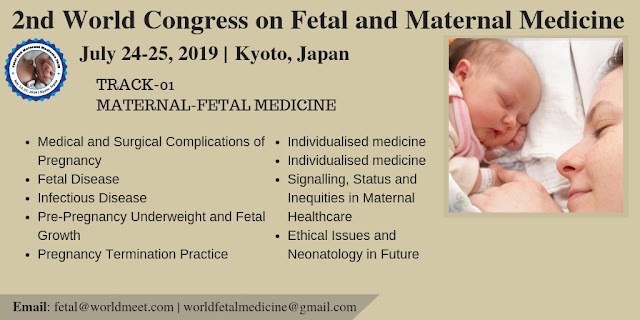 On behalf of the Scientific Federation, we would like to officially invite you to attend and participate as Speaker/Delegate/YRFs.....for the “2nd World Congress on Fetal and Maternal Medicine” during July 24-25, 2019 in Kyoto, Japan. 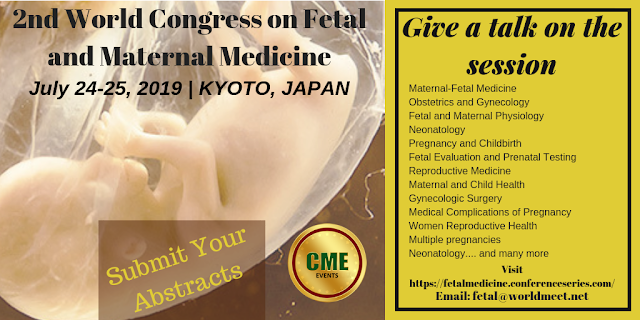 Fetal and Maternal Medicine 2019: The main theme of the conference is “Share the Vision for Fetal, Maternal & Neonatal Medicine”. As a potential scientist who are interested to make a splash with new development to exchange ideas, may well be the event for you.It is a unique opportunity to meet like-minded and share the insights of the world's foremost specialists in respective industry. 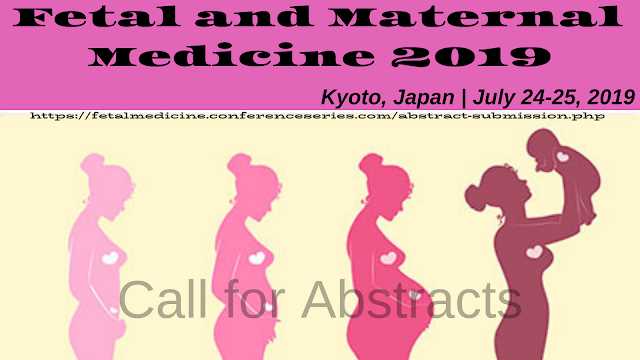 #FetalMaternalMedicine2019 #Callforabstracts #Submit your abstracts soon. 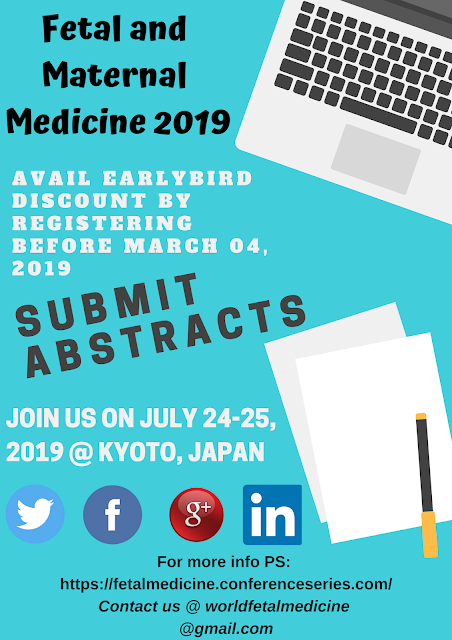 Join us this #July 24-25 at #Kyoto, #Japan. 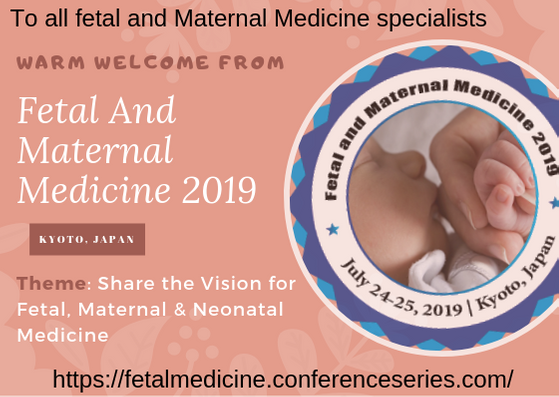 Maternal-Fetal Medicine (MFM), additionally Known as perinatology, it's the branch of medicine that studies, diagnoses, and treats health-related problems for the fetus and also the mother, during, and shortly after pregnancy. It's a subspecialty of Obstetrics. Physicians who specialize in this field collaborate with pediatricians, neonatologists, and primary obstetricians for low risk and high risk pregnancy. MFM specialists are the experts in insecure high risk pregnancy. 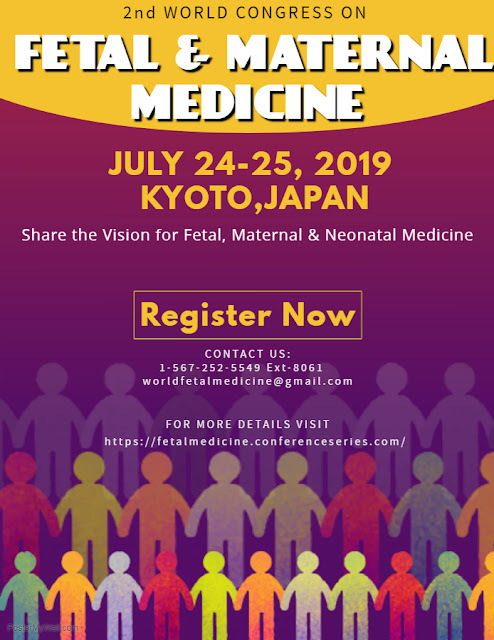 The brilliant and wonderful conference "Fetal and Maternal Medicine 2018" returns in the #2019. 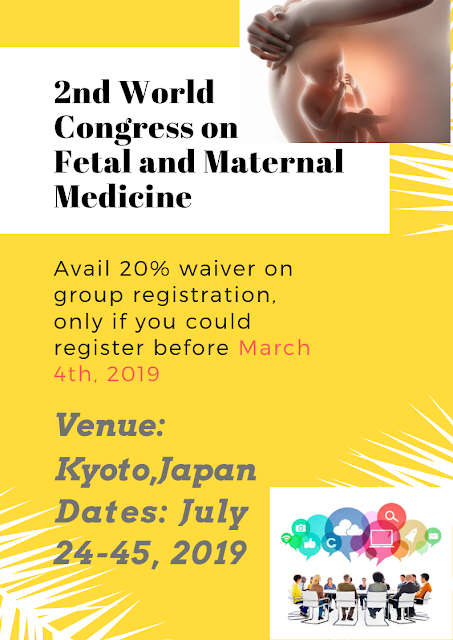 We are overwhelmed to announce the next series of #World Congress on Fetal Maternal Medicine which is scheduled on #July 24-25, 2019 at #Kyoto, Japan. #Avail discount on group registration.